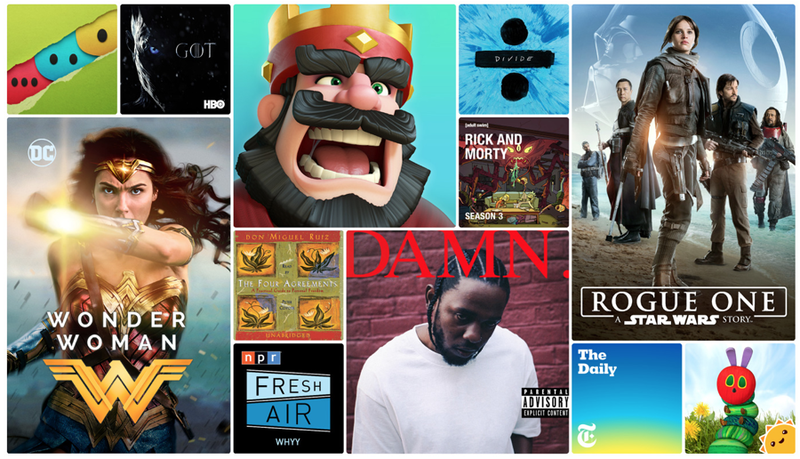 Roughly a week after Google revealed the Android Play Store’s top apps of the year, Apple has done the same, showcasing which of this year’s most popular apps, music, movies, podcasts, and books have topped iOS users’ lists in 2017. Apple highlights hat 2017 has been a “big year” for apps, games, and trends in app culture. Four breakout trends for this year for iOS devices include the introduction of augmented reality (AR) apps and games, the rise of real-time competitive gaming, apps focused on mental health and mindfulness, and apps transforming storytelling and reading. 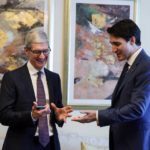 In Canada, Enlight Videoleap has overtaken Prisma and emerged as the iPhone app of the year, while Splitter Critters has taken over the top spot from Clash Royale and won the iPhone game of the year. The Enlight Videoleap app, which is available for free download on the App Store, is a one-stop video editor that allows you to produce “artistic Hollywood-level films” in addition to some simple video memories. The app has a plethora of tools that provide a ground for layer-based video editing right on the iPhone. The app also includes features such as keyframe animations, chroma key compositing, and unlimited undo/redo. The Splitter Critters game – developed by Vancouver-based RAC7 Games – offers users the ability to split the world with a swipe of your finger and then rearrange it to guide critters back to their spaceship. The game is available for $3.99. iOS apps are not only limited to the iPhone as Apple also took the time to list the best selling apps on their iPad tablet. In Canada, Affinity Photo has won the title of the iPad app of the year, whereas Old Man’s Journey has surfaced as the iPad game of the year. Apple also listed the top movies in the Apple Store, with Disney’s Moana ranks first followed by Wonder Woman, and Rogue One: A Star Wars Story in the third spot. On Apple Music, Ed Sheeran tops album of the year with “÷,” while his “Shape of You” track gets top song honours. Taylor Swift’s album “reputation” has already shot up to #3 on the 2017 top album charts, despite having only been available for a short period of time. Apple Music Up Next 2017 artists Khalid, Daniel Caesar and 6LACK all earned GRAMMY nominations as part of their success this year. Check out the rest of Apple’s rankings – which includes TV, podcasts, books, and iTunes U – here.